It's the most puzzling problem in the U.S. economy today. 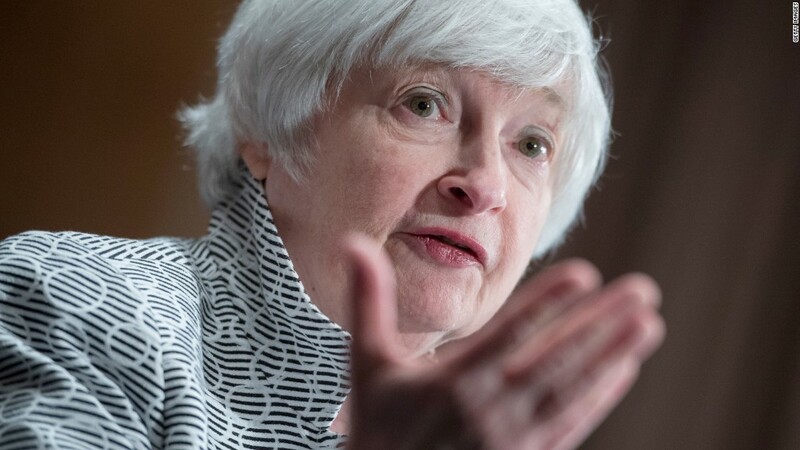 Even Federal Reserve leaders are scratching their heads. Normally in a healthy economy, as unemployment goes down, workers earn more in their paychecks and prices for goods go up -- ideally more than 2% annually. But that's not happening, despite a very low, 4.2% unemployment rate. Since 2012, inflation has topped 2% only two times. "We don't know what's going on with inflation," Stanley Fischer, who retired from his No. 2 post at the Federal Reserve last week, told CNBC. On Sunday, Fed Chair Janet Yellen said her "best guess" is that stubbornly low inflation won't persist much longer. In September, she called it "more of a mystery" than anything else. That kind of ambiguity from Fischer and Yellen is unusual. "It's rare that the Federal Reserve admits it doesn't know what it doesn't know," says Joseph Brusuelas, chief economist at RSM, an accounting firm. After the financial crisis, "we don't have a good grasp on the causes of inflation." Low inflation is a warning sign for something worse: Deflation, when prices and wages go down. Too much inflation can be corrected. But too much deflation is very hard to fix. Just ask Japan: It's been stuck for decades with stagnant prices and wages. This isn't just some wonky talk either. Low inflation plays out in a very real way. 1. Customers start to believe that prices won't -- or shouldn't -- go up. 2. That makes it difficult for companies to justify raising prices. 3. If companies can't raise prices, it's hard to justify raising employees' wages. 4. Meager wage growth makes Americans more reluctant to spend their hard-earned cash. 5. The economy slows as consumer spending, which makes up the majority of U.S. economic growth, flags. Experts list a few reasons why low inflation might be persisting. But they readily admit it's just as puzzling to them as it is to Yellen and other leaders. Technology, globalization, low oil prices, a lack of job skills in demand, the decline of labor unions and workers' productivity all contribute to low inflation to varying degrees. New trends are adding to the mix too, experts say. Despite all the talk of soaring health care premiums, prices for all types of healthcare -- medical devices, hospital services, doctor visits -- have been going down since the Affordable Care Act, or Obamacare, was passed. However, some healthcare prices, like those for hospital services, were heading down before Obamacare. For years, employers had their pick of workers after the Great Recession because unemployment was so high. They didn't need to offer higher wages. Conversely, workers didn't have many job options during and soon after the Great Recession. They had to take what they could get. That overarching trend isn't true today -- workers have the upper hand now. But it's hard to change old habits. "Businesses might start to realize that they're losing out by not raising wages enough to hire," says Gus Faucher, an economist at PNC Financial. "Workers are a little bit scarred by what happened by the recession, so they're reluctant to ask for wage increases." There was a flicker of hope in September: Wages rose 2.9%, the best increase all year and the third consecutive month of gains. Wages rose by the same amount last December, which at the time was the best since 2009. But last December was also a cautionary tale. After wage growth hit 2.9%, it mysteriously drifted back down for months.